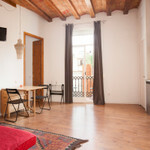 The Rambla Nou 2 Apartment is a very comfortable apartment in Barcelona. The apartment has a new modern kitchen with all the equipment. 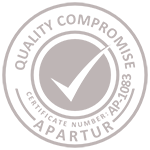 Rambla Nou 2 Apartment is located in one of the most popular neighboords: Eixample Esquerra. Eixample Esquerra is the most recent part of the famous Eixample area. Following the master modernists, such as Gaudi, the Eixample was set up meant to be an example of the new city of Barcelona. Interested in the Rambla nou 2 apartment? We have almost the same apartment available for you in the same building. If you are coming with a group of people and you want to stay in the same apartment building you can rent both the apartments at the same time. Have a look at the Rambla Nou 1 Apartment.